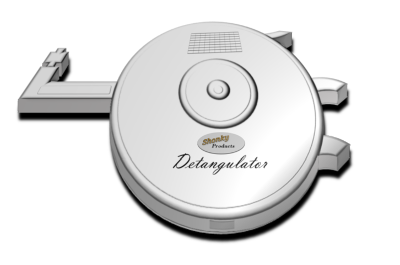 The Detangulator® from Shonky Products represents the latest attempt to unlock the hidden energy that is trapped in the world about us. This ingenious and scientifically-proven device taps into the energy that is present in tangled wires. By slowly and systematically untangulating all manner of cables, leads and wires, the Detangulator® can release the tangulation potential and convert it into useful energy which can then be used for running hairdryers or frying chips. Get the Detangulator® now and start reaping the benefits of a tangle-free lifestyle. And coming soon, the Detangulator Max® for use with hosepipes! Fergus Pong invites us to his rural information hub. Man bugled due to typing error. From the good people at Funmeals.